I took the photo you see above in Lodi, California sometime in 1994. I didn’t know it at the time, but taking that picture was the genesis of this site. 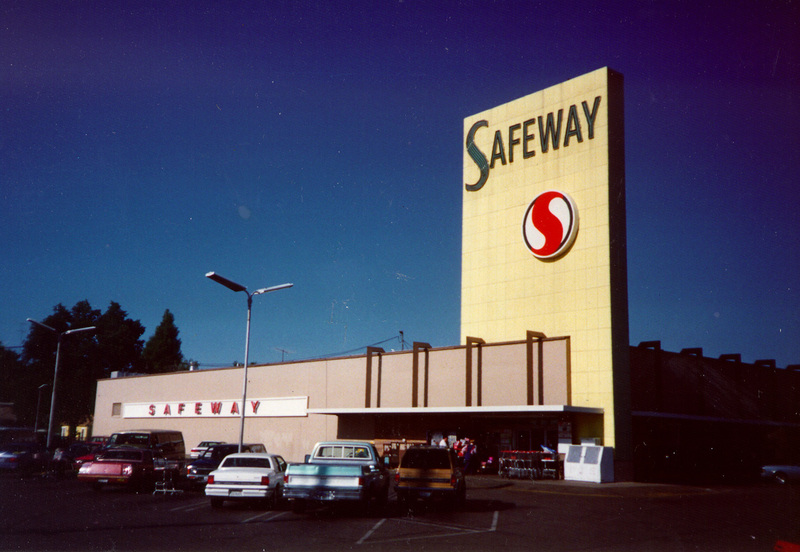 Ever since I moved to California, I’d been fascinated by the easily-discernable Safeway prototypes of the past half century, and Safeway is by far the dominant chain in San Francisco. So it’s only natural that my research should have started with this chain, and that its section should be the biggest and best developed on the site. Inside you will find vintage and current photos of Safeway stores from the 1920s to the present, along with something of a company history. Enjoy.